Marshall Fredericks is internationally known for his monumental sculpture but few are familiar with Fredericks’ humanitarian works. During his lifetime, Fredericks worked with a variety of civic groups to advance their causes. Many of the organizations with which he was associated reflected his Scandinavian heritage. 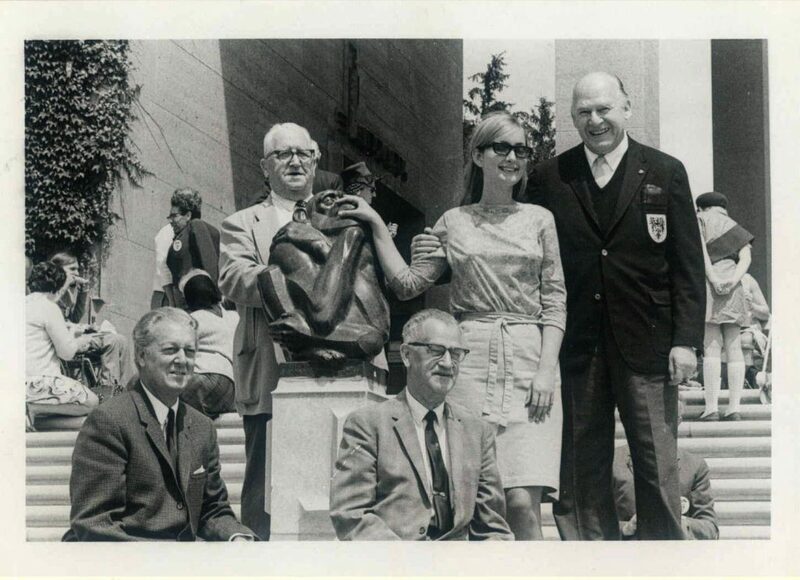 In 1965, Fredericks along with The Lord Mayor of Copenhagen, Urban Hansen, and with the patronage of Princess Benedikte of Demark, founded DIADEM (Disabled Americans’ Denmark Meeting), an exchange program between Denmark and the United States for disabled young adults. 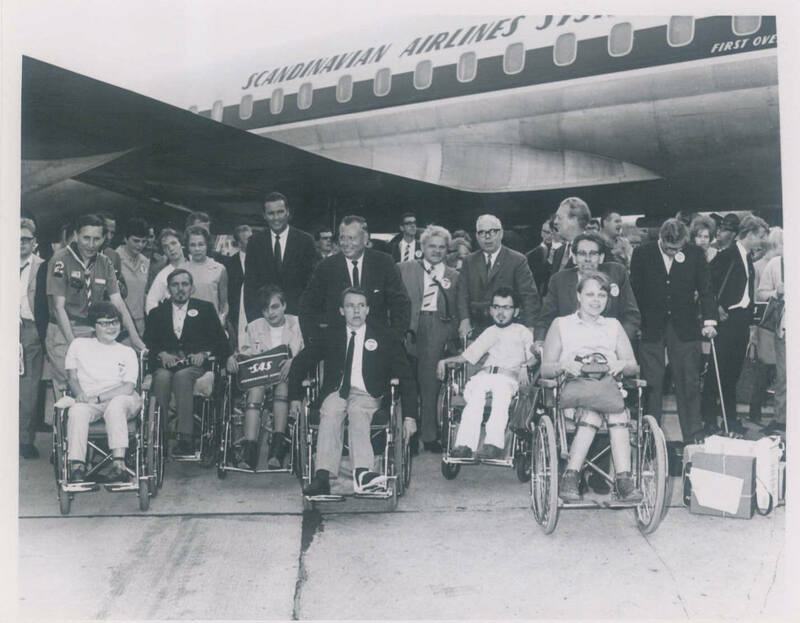 The program was so successful that in 1967, a reciprocal group of fifty disabled Danes and ten attendants from across Denmark visited the United States. As part of DIADEM RETURN, participants visited eight major American cities across the country traveling on their own DC-6 airplane chartered by United Airlines. During the program, the Danes learned about American culture, education, and industry. “The American youths comprising the original DIADEM project…were received by the people of Denmark with such warm friendship and hospitality, and enjoyed such a thrilling and rewarding visit to your country, that we have had to work hard to provide a comparable tour in our land. We have done our best, however, and hope that you will find your stay here an equally enjoyable and constructive one. We also hope that you will return to your home land with a deeper understanding of, and enriched fondness for, your American friends”. 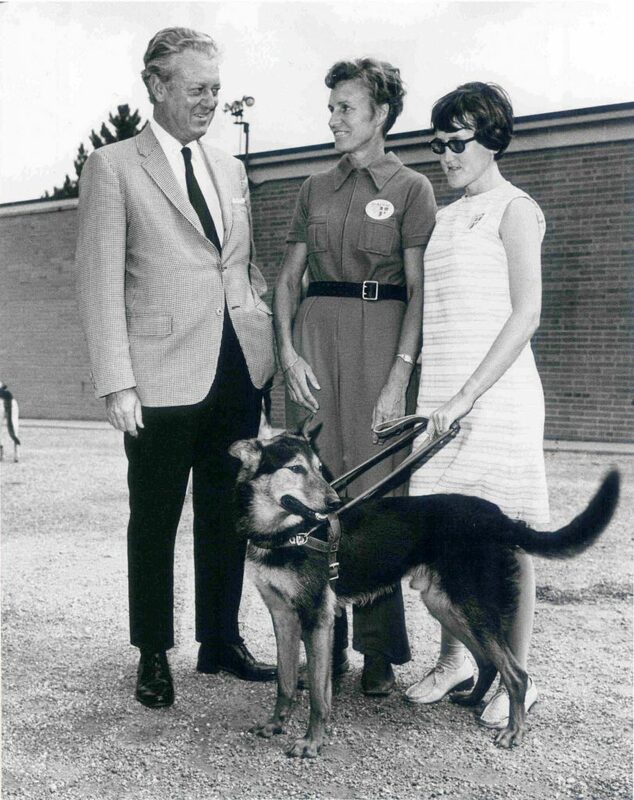 Entitled DIADEM LEADER, the third exchange of the disabled between the United States and Denmark in 1969, brought blind Danes to the Leader Dog School in Rochester, Michigan for four weeks of training on the care and use of Leader Dogs. DIADEM LEADER was the first major international exchange of the blind as well as the first large foreign group to attend the school. 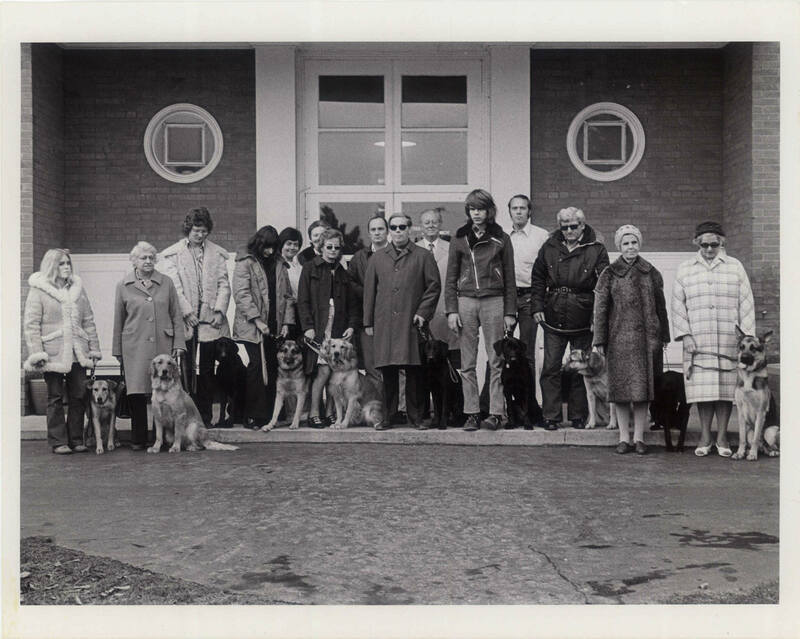 Each participant was matched with a compatible dog which they brought back home with them to Denmark, allowing them greater mobility and independence. The various DIADEM and DIADEM LEADER exchanges immensely affected all those involved. Participants learned a great deal about one another and the country which they were visiting. This exchange program truly made a difference in the lives of Danish and American disabled individuals. The dozens of letters from DIADEM participants in the Marshall M. Fredericks Archives attest to the impact this program had on the disabled. Many individuals wrote to Fredericks to thank him for his work with the program as well as to update him on their lives and the lives of their beloved Leader dogs. 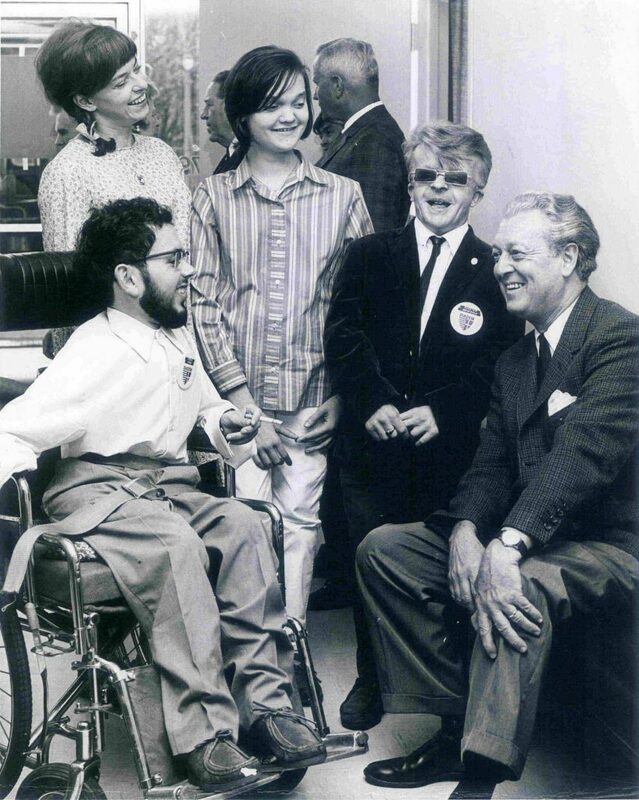 Fredericks’ work with DIADEM led him to become involved with other organizations such as the Committee for the Handicapped of the People-to-People Program, the President’s Committee on Employment of the Handicapped, and the International Center for the Disabled (ICD). Due to his work with DIADEM and other Danish organizations, Fredericks was appointed by Danish King Frederik IX as the Royal Danish Consul for the state of Michigan in 1968, a position he held for thirty years. The Marshall M. Fredericks Archives contains 200 linear feet of materials, including 13 linear feet of personal correspondence; 1,200 project files; more than 10,300 photographs, negatives and slides; 4,335 newspaper and journal clippings; 400 architectural drawings and original sketches; 16 linear feet of books; 300 awards, citations and medallions; and 13 linear feet of film, audio and video recordings. These items are currently being cataloged and stored for long-term preservation and access, using best archival practices.